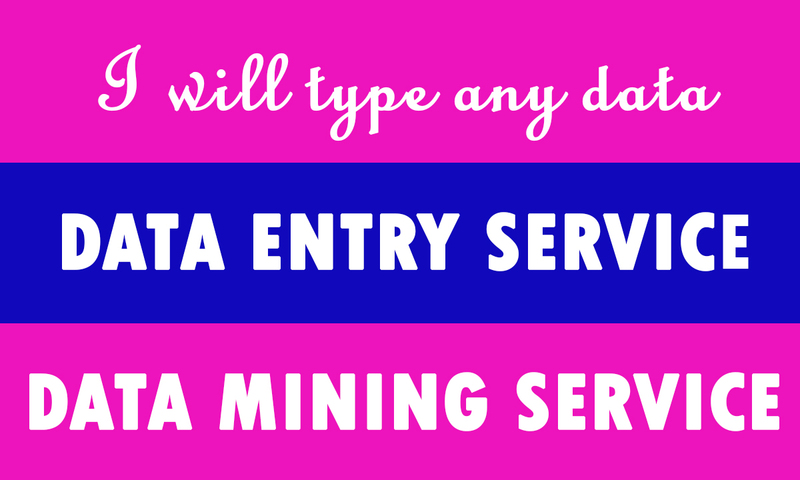 I am very experienced in Data Entry field. I can manage big project of Data Entry. I have a team of members to complete the Data entry orders within the time. Contact with me please with out any hesitation. Thanks! I'll Type any type of Data of 10 pages is ranked 5 out of 5. Based on 1 user reviews.